Just a short article today! In 2015, the Valley Relics Museum received an incredibly generous donation of vintage menus (the Gorsky Collection). It was my task as the museum's archivist to sort and catalogue each individual menu. The menus dated from the 1940s through the 1990s, with the majority being from the 60s and 70s. Many were from Valley restaurants; some were from other parts of LA and Southern California; others were more mysterious. For example, the red menu visible center in the photo above, from "Bob's Coffee Shop," turned out to be from New Mexico. And then there was this beautiful, artistic menu. It had a date on it (1964), but unusually, no address or phone number whatsoever. Where on earth was Jimbill's Coffee Shop? Jimbill's Coffee Shop menu, front cover (1964). Valley Relics Museum, Gorsky Collection. Google got me nowhere. A search in old Valley newspaper archives, however, turned up a few leads. 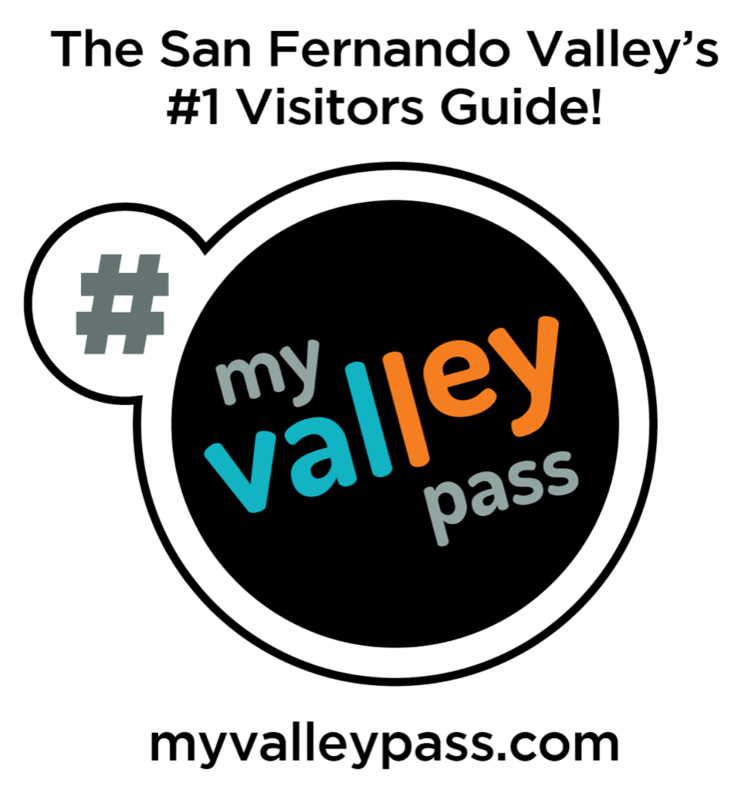 In 1967, the North and East Valley Associated Chambers of Commerce held their December meetings at "Jimbill's Restaurant, Sylmar." 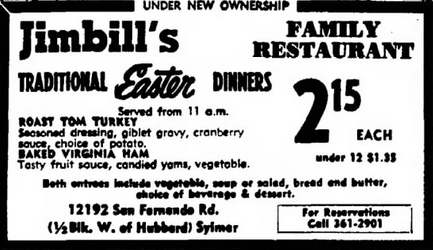 And in April 1969, a "Jimbill's," also in Sylmar but now "under new ownership," advertised its Easter dinner options. This ad contained a phone number and an address, 12192 San Fernando Rd. Could it be the same Jimbill's that produced the 1964 menu? I plugged the address into Google Maps. 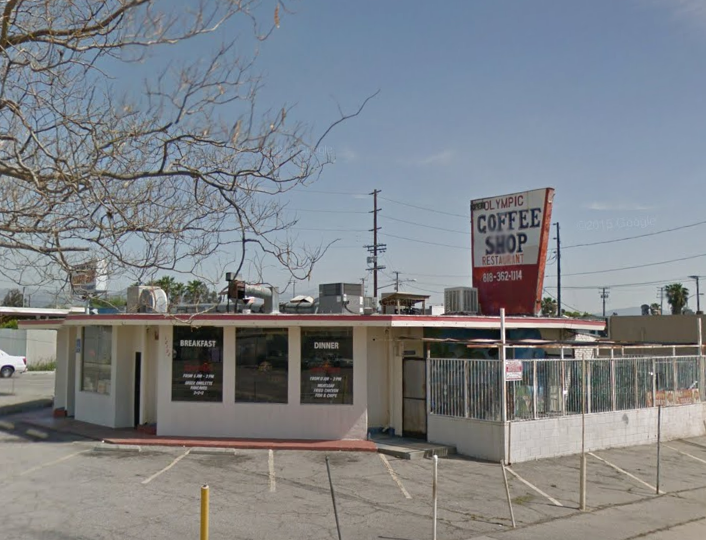 Olympic Coffee Shop, 12192 San Fernando Rd., Sylmar. Google Streetview image, March 2015. Wow. Yes, that's the same coffee shop. This particular address has been a number of cafes since it was built in 1957, including the James Drive-Inn (1957-59), Jimbill's (1964-69), and Olympic Coffee Shop (1984-present). 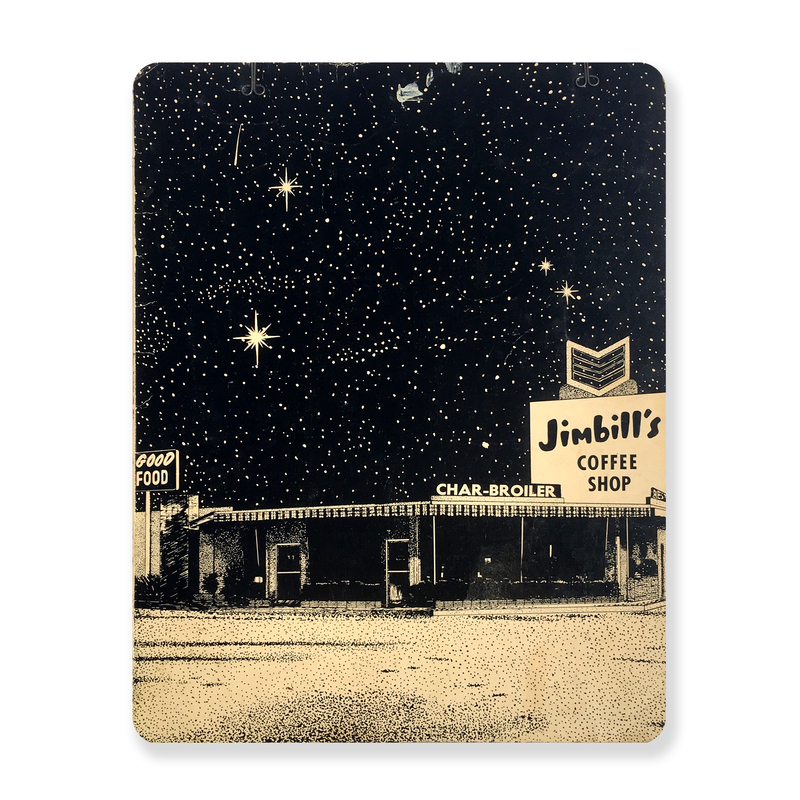 But without the beautiful artwork on its cover, the Jimbill's menu may never have been identified as a Valley relic!